Haddock is a marine fish with a dense fillet. These fish are a good source of lean protein, as well as potassium and selenium. 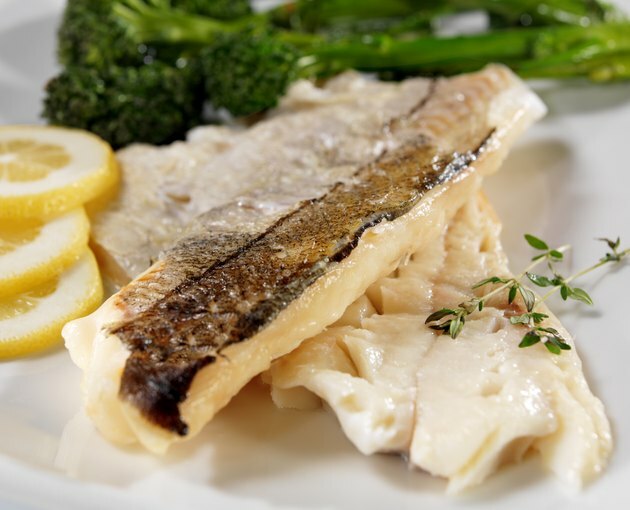 If you enjoy your haddock pan-fried but you want to avoid adding too much fat and too many calories, skip the breading and pan-fry your haddock in olive oil with fresh chopped garlic for seasoning. Your haddock will not absorb as much of the oil without the breading but it will still have the slightly crispy edges and savory pan-fried flavor. Heat 3 tbsp. of olive oil in a skillet over medium-high heat. Add the four chopped garlic cloves and saute them until they become fragrant and begin to pop in the pan. Remove the garlic cloves from the pan and place them in a bowl. The garlic will season the oil, which will add a subtle garlic flavor to the haddock fillets. Season the four haddock fillets with salt and pepper to taste. Take the haddock fillets out of the pan and transfer them to a serving dish. Top them with the sauteed garlic and serve them hot.